The Association has a Placement Cell that gives job counselling to the trainees and other job aspirants and helps them in securing suitable employment. The newly employed are also extended necessary advice and help on workplace familiarization and for ensuring optimum productivity. The Cell maintains constant interaction with industrial establishments, public and private sector offices, service organizations etc. and networks with various agencies to break psychological barriers and to convince the prospective employers on why it makes good business sense employing a qualified visually impaired person. Many employers have found engaging the Association-trained visually impaired persons a profitable and economical proposition. The Association is proud that as many as 14 of its trainees have won National Awards for outstanding performance. For more information on our placement services and if you have any opening for our trainees in your organization please contact Mr.A.David, Project Officer and In charge Placement Cell (mob: 9953494419) or Mr.Tejendra Singh (mob:7428321155). 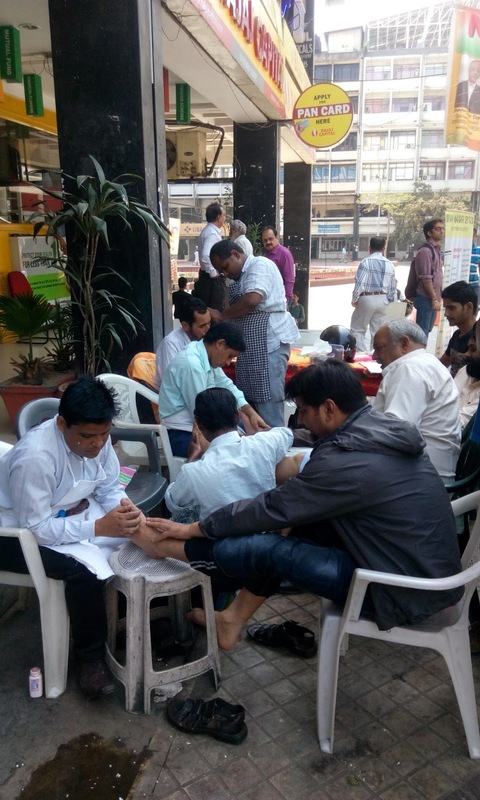 A team of visually challenged masseurs trained by the Blind Relief Association are running Relaxation Massage Camp every Friday at New Delhi’s famous Nehru Place under the aegis of Nehru Place Market Welfare Association. The professionally trained masseurs' team under the banner Shyam Massage Services operates every Friday from 11 am to 7 pm at an open space provided free by the Market Welfare Association. The service is gaining popularity as scores of persons benefit from the relaxing Thai, Swiss, Oil, Aroma massage and foot reflexology services offered by these deft professional masseurs. The team is led by experienced masseur Sri Shyam Kishor, a graduate from the Delhi University, who besides receiving relaxation massage training at the Blind Relief Association has also learnt foot reflexology, naturopathy, Sujoku and Japanese Amma Massage. Other members of the team are Sri Ratan Oraon, Sri. Prabhakar Upadhyaya and Sri.Kumar Chapagain, all former trainees of the Blind Relief Association. This novel initiative by visually challenged masseurs became possible thanks to the keen interest and support of Sri Jitendra Gupta, Chairman, Nehru Place Market Welfare Association. How about other markets, malls, large industries and establishments providing facilities for such relaxation massage services by visually challenged professional masseurs? 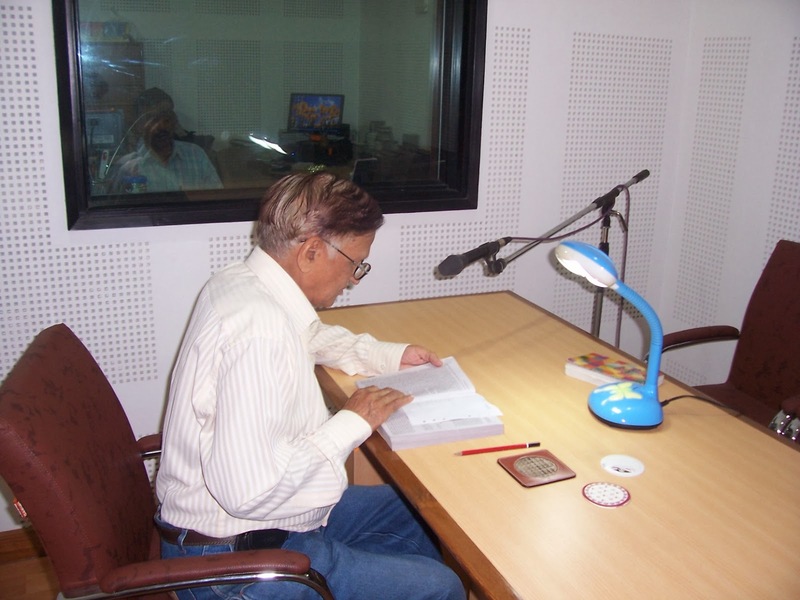 The audio books recorded in the studio cater to the JPM School for the Blind as well as to university students in and around Delhi. Recorded audio material is also provided on request to other institutions and visually impaired individuals. A large number of volunteers from the community help in recording of textbooks and other reading material. The unit has a computerized Braille production facility with electronic Braille printers with transcription software for books in English, Hindi and Sanskrit. IT-based Braille transcription facility in 12 Indian languages is also available. The Association has a large hostel providing boarding and lodging for around 300 inmates. They include school students, trainees and visually impaired workers of the Association. The boarding and lodging facilities are provided free of cost. The hostel has a large dining hall and a well-equipped kitchen serving 3 wholesome meals (breakfast/lunch/dinner) and afternoon tea. Visually impaired visitors are also provided accommodation and food at subsidized rates. The medical inspection center, with a doctor and round the clock male/female nurses, undertakes regular check up of students/trainees with free provision of medicines. Major hospitals/clinics help in detailed health/ophthalmic services to the children on a periodical basis. In 2009, a well-equipped Dental Care Unit was established and run by SGT Dental College, Gurgaon. A team of doctors and support staff from the college do regular inspection and provide free care and dental treatment services. The Association enjoys a vibrant interaction with the society and media. A large number of students and trainees from different educational and professional institutions, experts and common people visit the Association and take keen interest in diverse activities and programmes. Several institutions send their trainees and staff to our Association for internship and exposure training. A number of volunteers come to share their time and expertise and assist in diverse programmes and activities of the Association. We believe that such interactions effectively helps in sensitizing the society and making the people aware of the abilities and potential of the visually impaired. The Association's Diwali Bazar is a major events that attracts gets a large number of participants, and visitors. This popular event also significantly helps in creating such awareness. Media coverage of the Association's activities and achievements of the Association's students and trainees also play a major role in spreading awareness.